Soaring glacier peaks scrape the sky to the left. A valley plummets to the right. Front and center is a mound of earth striped with intense turquoise, rust red and golden yellow. The colors flow like a wave so perfectly that you would believe they were painted by the gods. The only way to get to this secret corner of the earth is the Ausangate Trek. From our perch, the Andean winds gust wildly as if to prevent any mortal from staying too long in this unworldly place. It’s not an easy path but the views are the rewards for those who are up for the challenge of hiking days over high altitude passes. It’s a trail that cuts through a land seeped in legend. Wild, remote, beautiful and surreal. Nature is god here. Take a journey to this place and you will see why. For the Quechua people of the Andean region of Cusco, Ausangate is an “Apu”, a sacred mountain. At 6,384 meters (20,944 feet), it’s the highest in the area, making it the most sacred of all the Apus. As the glaciers and snow of the high peaks slowly melt, they form rivers, sending water to the villages below. Water means life, therefore these mountains are the givers and origins of life. A morning view of Apu Ausangate. For us, these trails would provide a route into a world that we never knew existed. Our goal was to go around Ausangate following a path that is over 4,000 meters above sea level. There are many ways to do the Ausangate trek. We chose to do it in 5 days, starting from Chillca and finishing Trapiche. The trek covers an approximate distance of 54 km (34 miles). 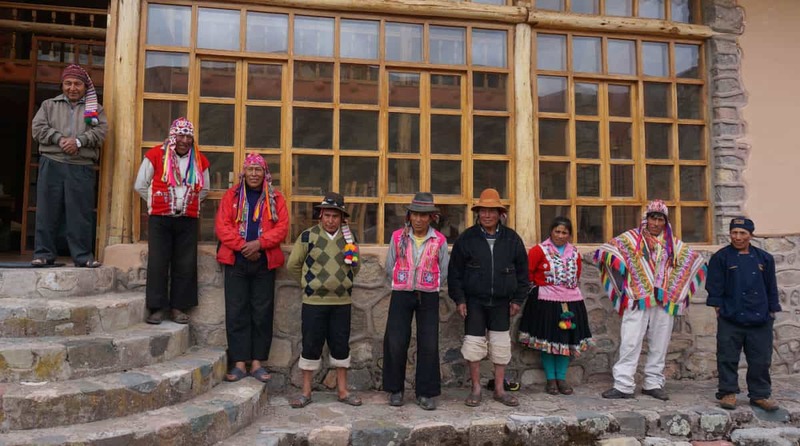 Each day we would stop off at one of the four lodges called “tambos” build by Andean Lodges that are tucked into the mountains. These lodges are not simple refuges but luxury accommodations complete with private bathrooms and hot showers. After a long day of hiking, a warm fire place to sit by, a delicious meal and bed are much appreciated. 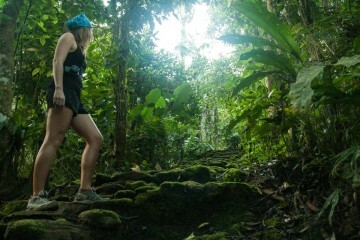 From Cusco, we had done other hikes before like the impressive Choquequirao Route. This time, we took a road into the Cordillera Vilcanota to reach the trail head. After a roadside picnic we set off through a gorge. We came to a glacial valley. A man fished for trout, kids ran home from school holding hands and alpacas grazed. As we walked by, a few “vizcachas” (chinchillas) darted over the rocks. The houses that make up the town of Chillca dotted the mountain and further ahead was the lodge. Orlando, the guardian who looks after the lodge, greeted us at the entrance with a big smile and pair of alpaca slippers. It was time to rest for the night. After dinner the house keeper, cook and guardian transformed into musicians and entertained us with Huayno style music, popular in the Peruvian Andes. The trail that we followed would not only transport us to incredible landscapes, it would serve as a time machine. 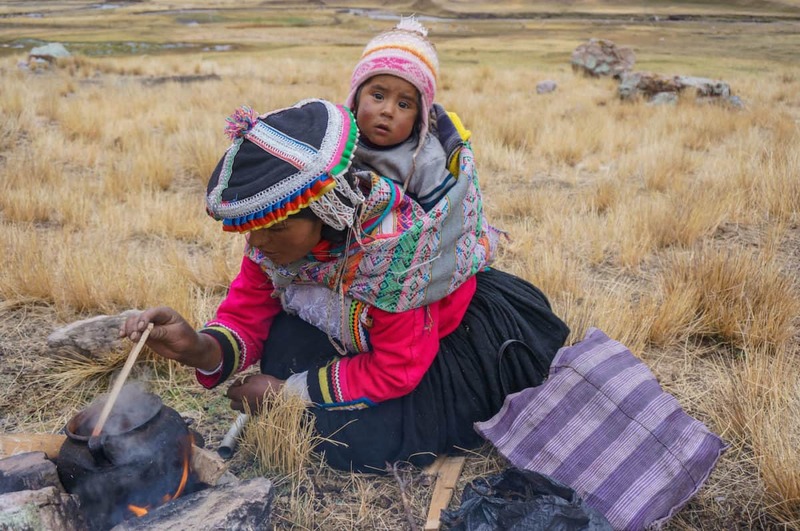 Along the way we met Quechua people, believed to be direct descendants of the Incas. These people continue to live as their ancestors had centuries ago, with very few influences from the modern world. The people of this region are one of the few true shepherding communities left in the world. They raise alpacas and llamas, using every part of the animal to enable them to survive in this harsh climate. The wool is used for clothes, hides are used for sandals, the meat is eaten and the feces are fuel and fertilizer. A woman making a dye using the acid from cochinillas, insects that live on cactuses. The days were spent hiking through the extreme landscapes and soaking in the views but once night fell, the routine was much different. After a hot shower we’d change clothes and head outside. On clear nights, the sky would be illuminated by millions of stars. The Willkamayu (Milky Way) stretched across the sky, creating a direct path to Ausangate, believed to be a cosmic connection with the Apus. 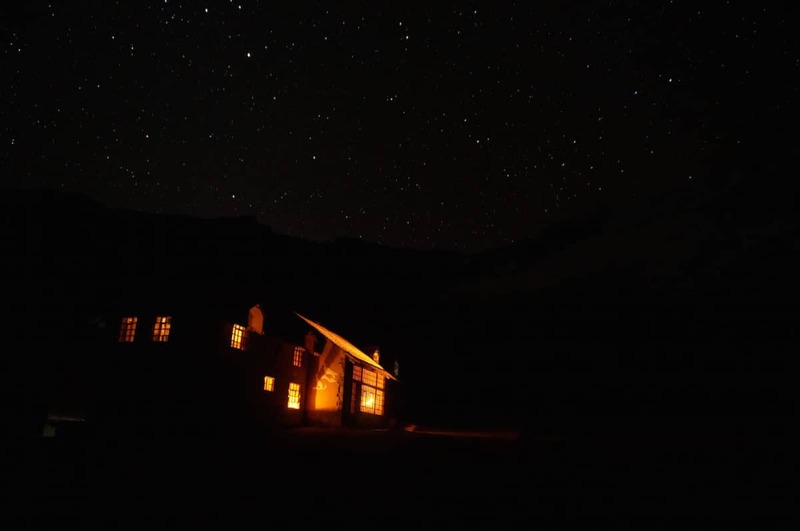 Machuracay Tambo, the highest luxury lodge in the world (4,800 meters) under the night sky. Before we set off to climb Palomani Pass, the highest of the trek at 5,150 meters we gave an offering to Ausangate and asked him to protects on our journey. The process involves collecting sweets and coca leaves. Each person takes four coca leaves and blows on them in the direction of each mountain peak while thinking good thoughts. The leaves are then collected with the other offerings, then set on fire. If they burn well, Ausangate has blessed you. If it doesn’t, you’re on your own! Once the ceremony was over and Ausangate gave us his blessing, we were off. We climbed up and up to reach the pass of 5,150 meters. 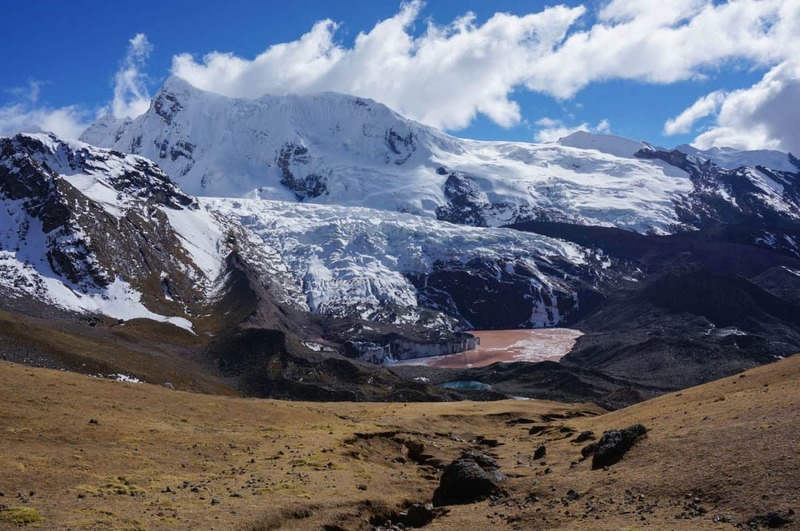 While it was high, one of the best aspects of this trek is that the passes are relatively easy as you only gain a few hundred vertical meters unlike other treks we have done in Peru such as the Santa Cruz Trek and the Huayhuash Circuit. View of Santa Catalina, the wife of Ausangate. The climax of the Ausangate trek would come on the fourth day. As we climbed to the top of the pass a mountain appeared in the distance like no other I had seen before. It had intense pastel colors in a layered pattern. Hours later we came closer to the mountain. Our guide told us to climb a steep hill near by for the best view of our lives. When we reached the top, I told Antonio, “This is why we’re here”. It was clear this view was the reason we had spent four days hiking through the mountains. The painted mountain was right in front of us, with it’s ridge of colors continuing on into horizon. The views didn’t stop after we passed the painted mountain. Every turn and corner of that day continued to amaze us. The lodges were built between a joint effort of the communities of Chillca, Osefina and Andean Lodges. 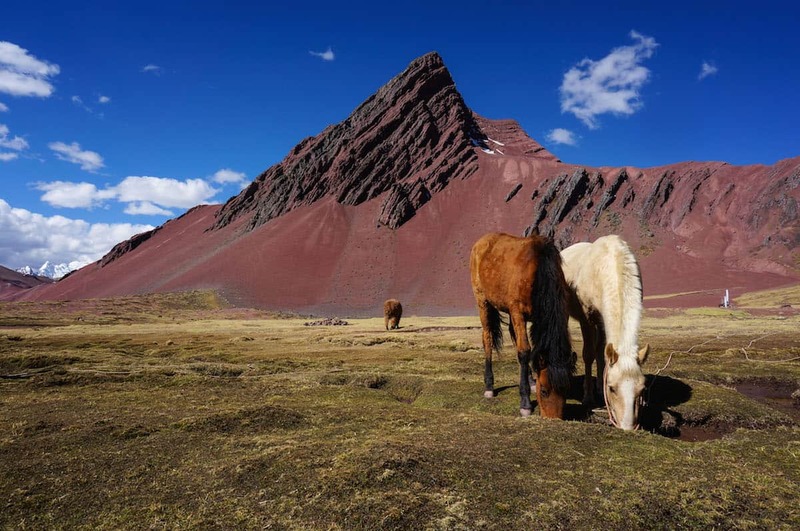 The people from these communities have lived for centuries herding llamas and alpacas. Before the government built roads through the Andes, these people made their living by transporting goods in between towns with their llamas. Once the roads were made, their llamas were replaced by trucks. Instead of going to nearby Cusco to look for work, the communities found away to stay in the mountains in the 21st century. They did this with the help of Roger Valencia, the director of Andean Lodges. He plotted a route through the mountains that would give hikers the best views and raised 1 million dollars to build three lodges. The fourth would be funded by the community through a grant by the Peruvian government. This gave the members a financial stake in the project. The communities’ llamas were put to work again, carrying guests luggage from lodge to lodge. This enables hikers to only worry about taking pictures and having a good time. The entire staff at the lodge, aside from the guide are from one of the two communities. The idea was that local populations should be active agents in the company’s operations, to share their culture and natural resources with travelers, thus creating employment and improving their quality of life. 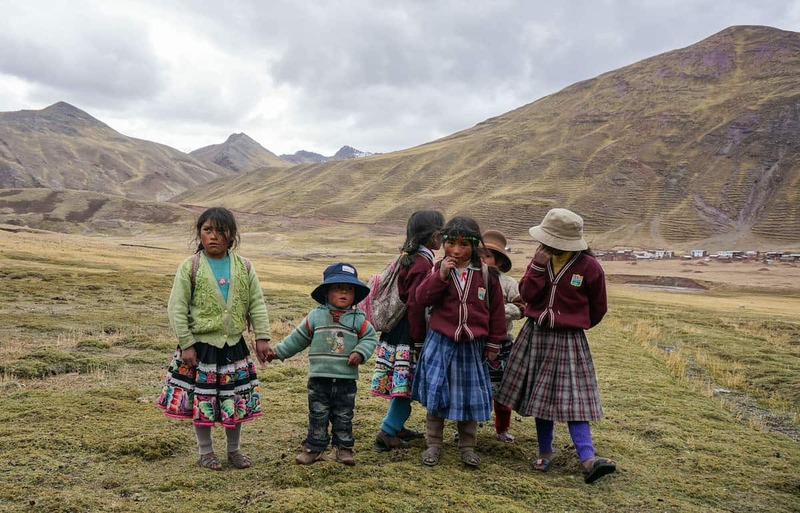 Andean Lodges gives a portion of the profits back to the communities which is used for education and health projects. Allow enough days to acclimatize to the altitude before starting this route. You will be hiking over several 5,000+ meter passes and sleeping at over 4,500+ meters each night. 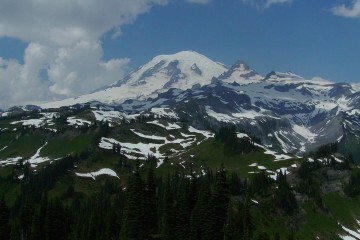 Acclimatization is crucial for your enjoyment of this hike. 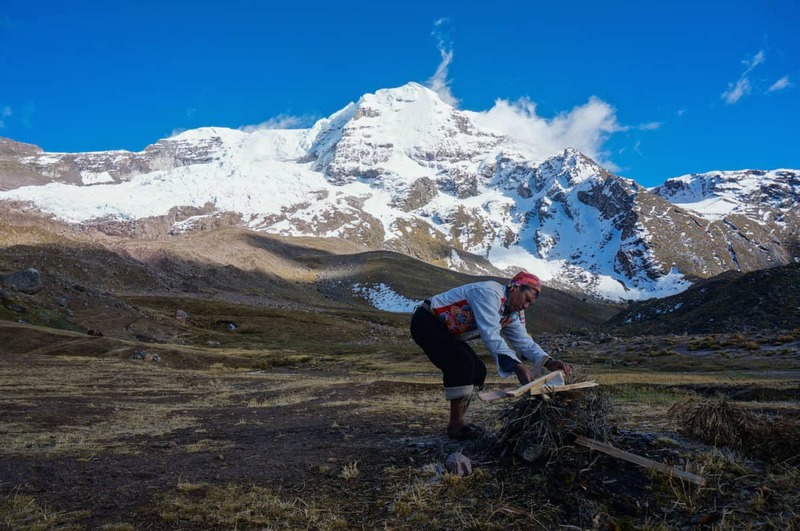 It’s possible to hike the trails around Ausangate on your own or with a tour group, however groups do not take the same routes as Andean Lodges does. 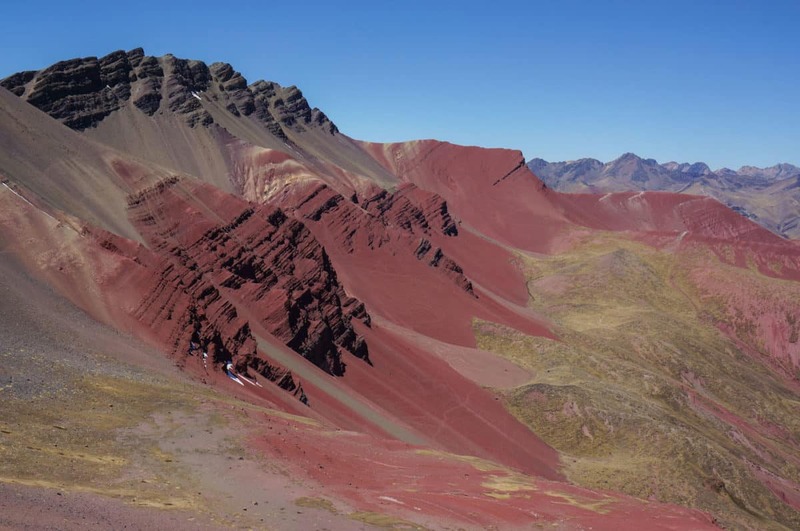 This means you will miss the painted mountains, which in our opinion was the best part of the trek. There are many different routes that can be done around Ausangate. The route we did was 5 days, 4 nights. This trek is best enjoyed during the dry season, from April to October. Andean Lodges provides transport to and from Cusco. 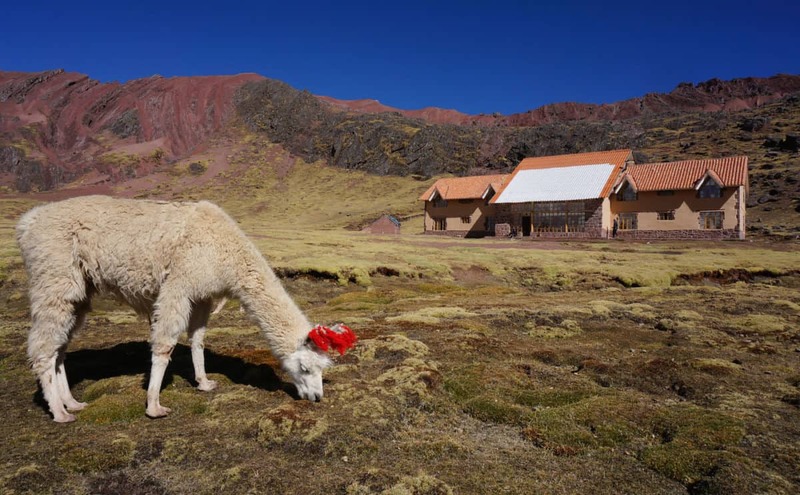 For the Ausangate Trek with Andean Lodges, you stay in lodges and llamas carry your personal belongings. During the day you only need to take a small day pack. Here’s our complete checklist for multi-day hiking trips. + Each day the views got better and better. 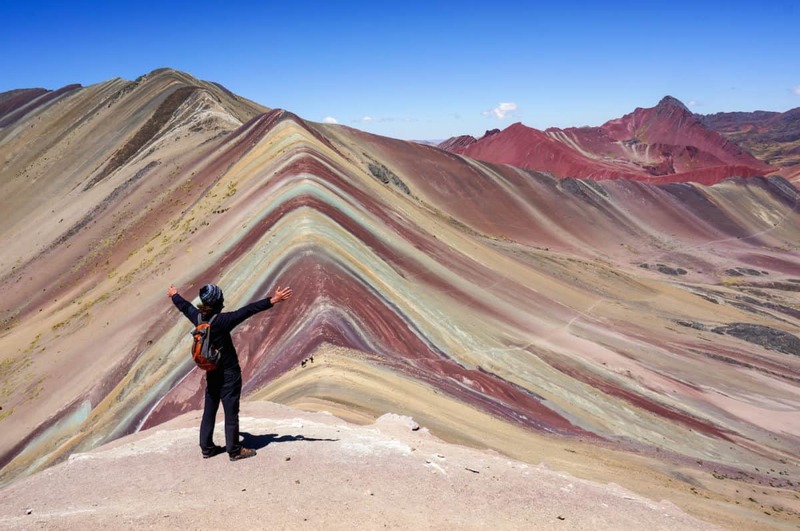 + Seeing the painted mountains is a truly unique experience. + Experiencing Andean culture and having a knowledgable guide to explain their customs. + We took a route that no other agencies take which gave us a sense of seclusion. + Every night we arrived to a lodge, where we had hot showers, warm meals and comfortable beds. A real luxury after a long day of hiking. – The weather is very unpredictable, so if it’s bad you won’t see much. 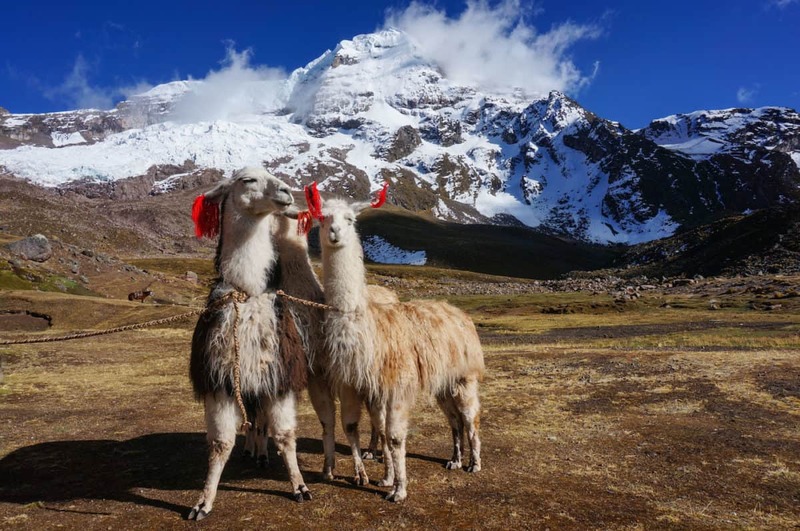 The Ausangate trek is not only a hiking adventure but a journey through the spirit of the Peruvian Andes. The landscapes found here are unlike anywhere else. It’s not hard to see why this route is considered one of the top South America dream destinations.